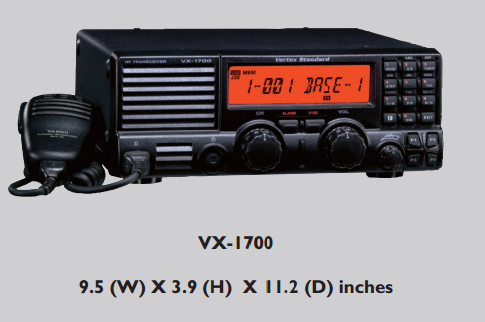 An SSB-HF Mobile Radio is a two way radio that is designed to operate in the RF frequency 1.6 - 30 MHz. The advantage of this frequency band is that it can propagate from several hundred to over a thousand miles. The disadvantage is the fact that the RF propagation in these RF frequencies is dependent on the time of day, and whether the sun is emitting conflicting RF noise. SSB-HF Mobile Radios are designed to be installed in fixed locations.